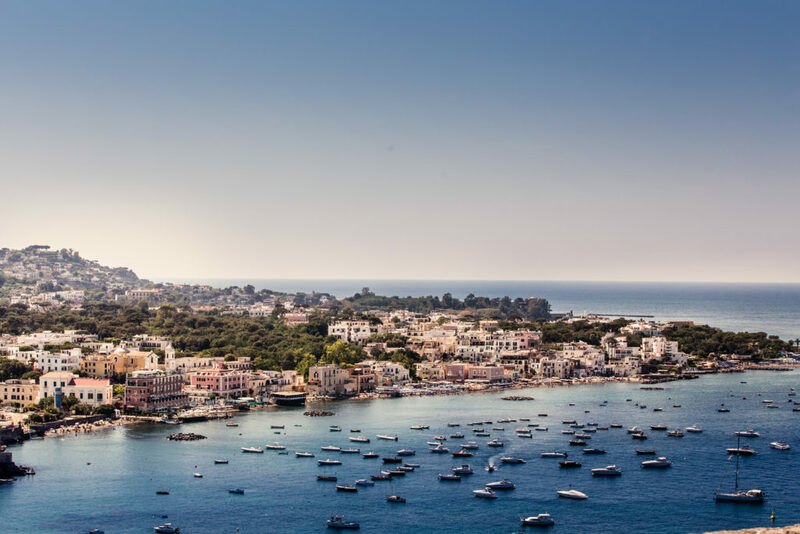 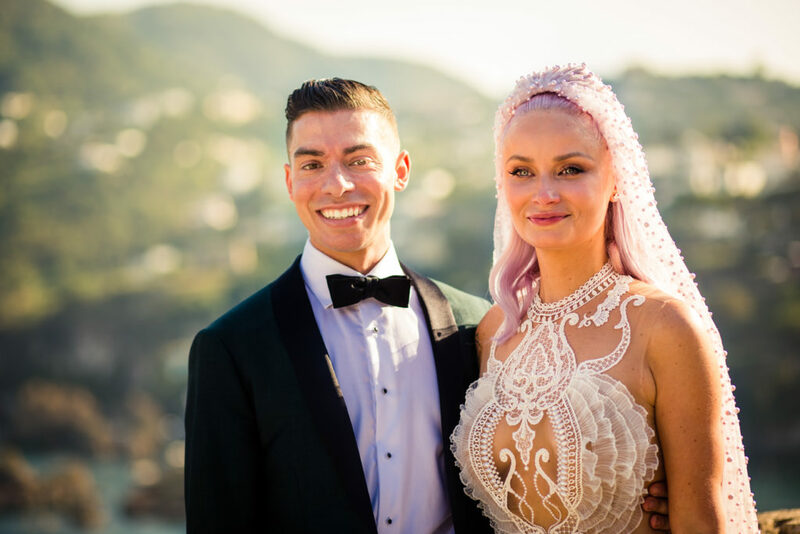 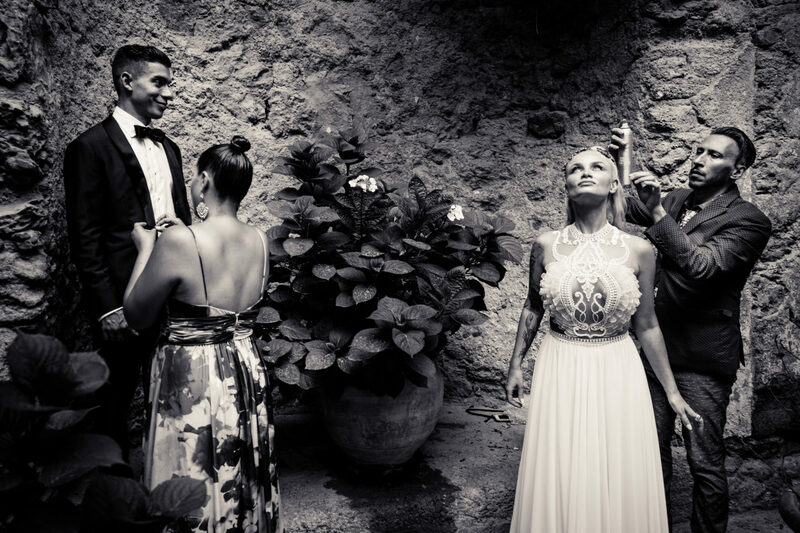 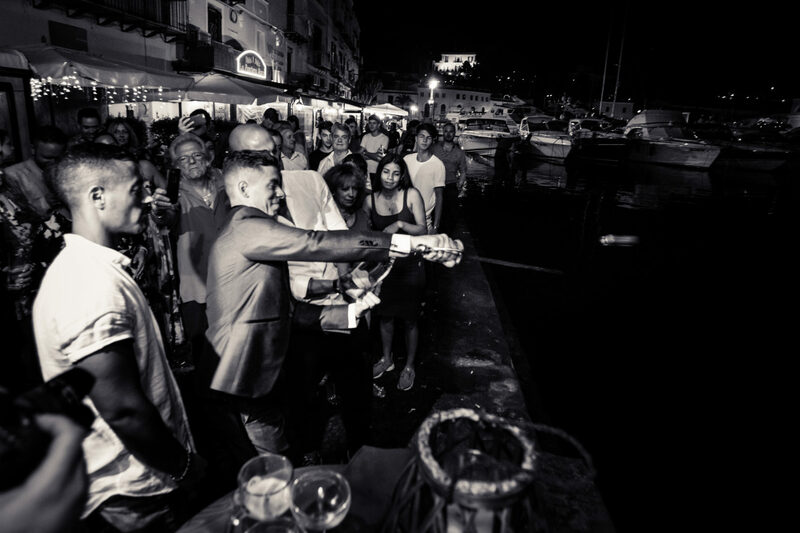 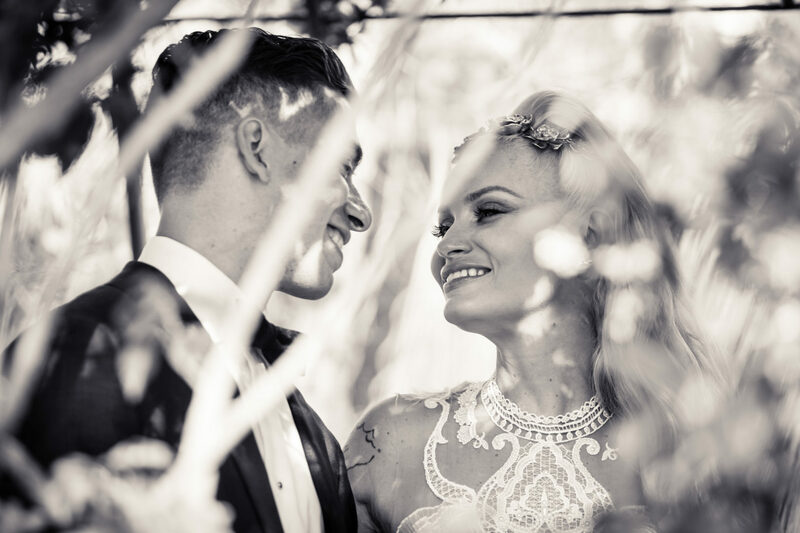 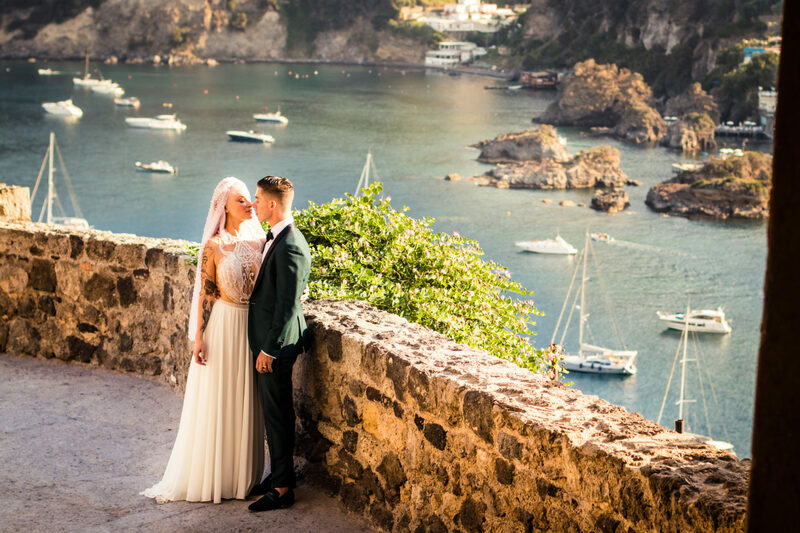 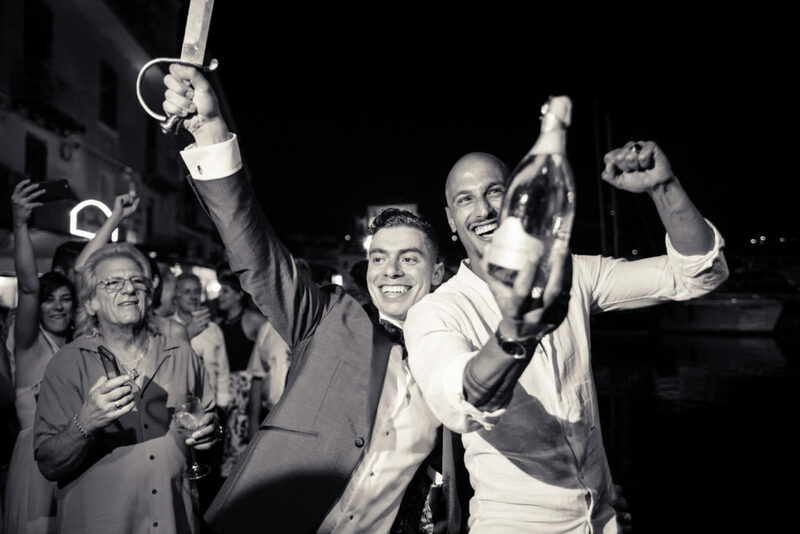 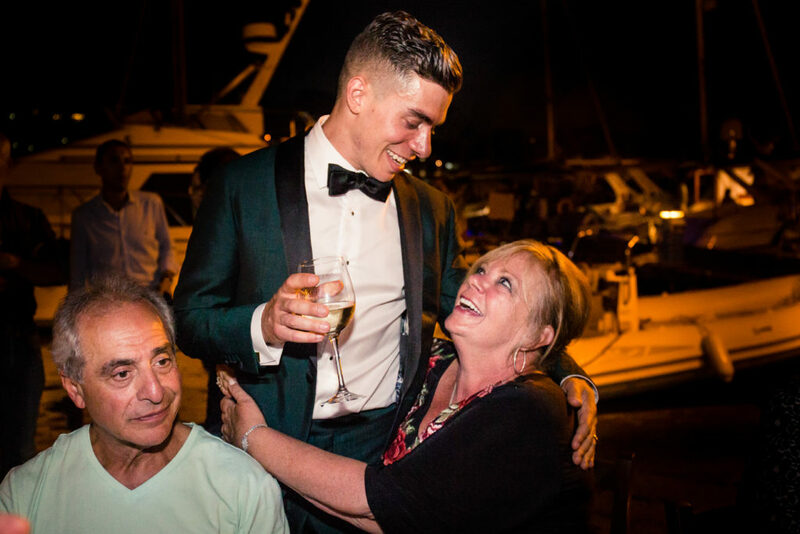 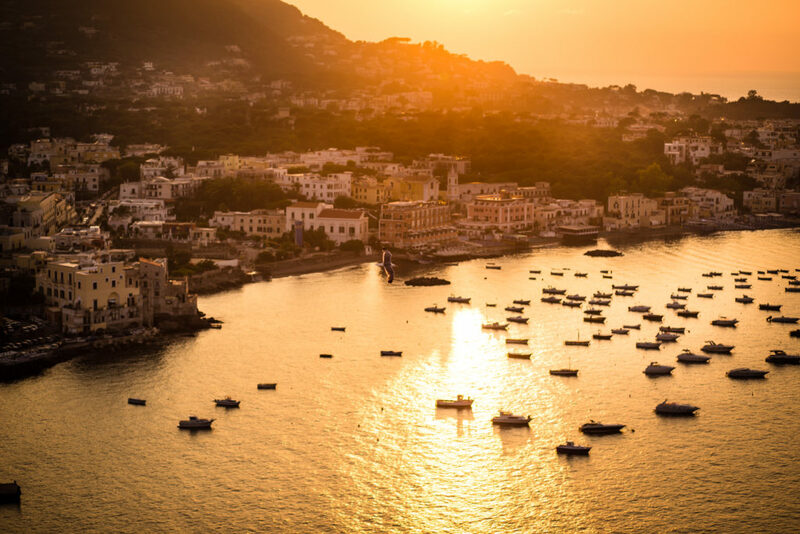 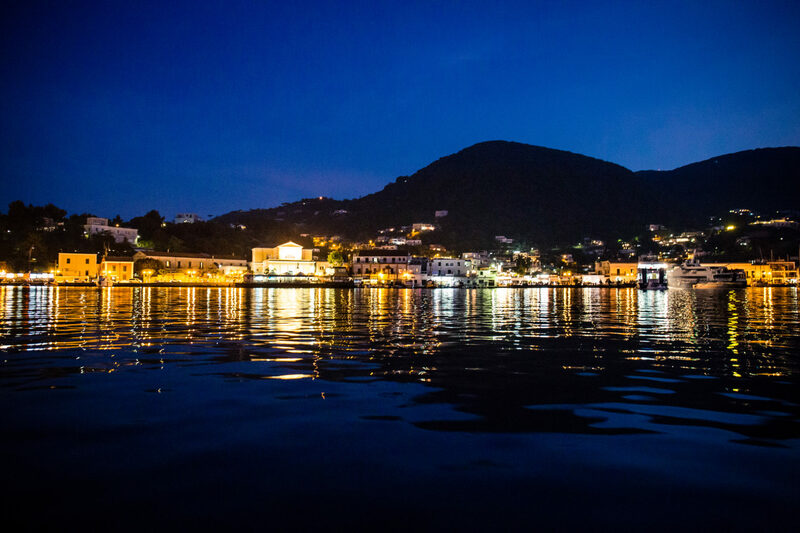 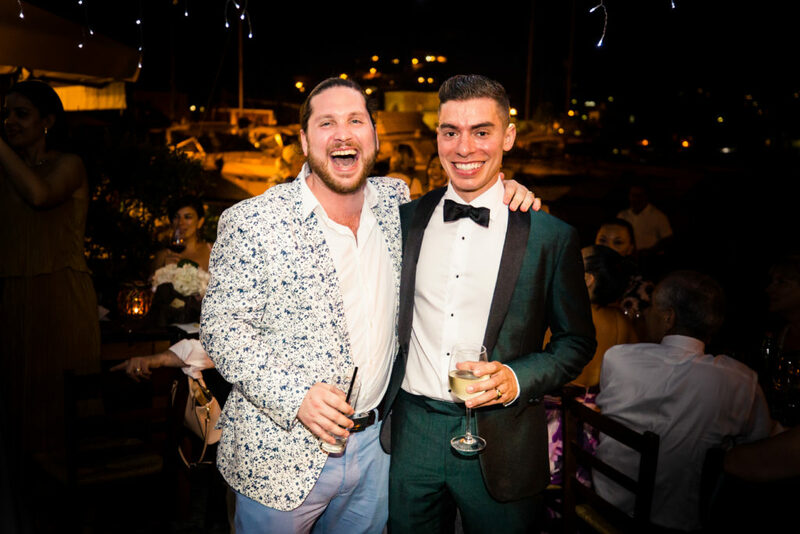 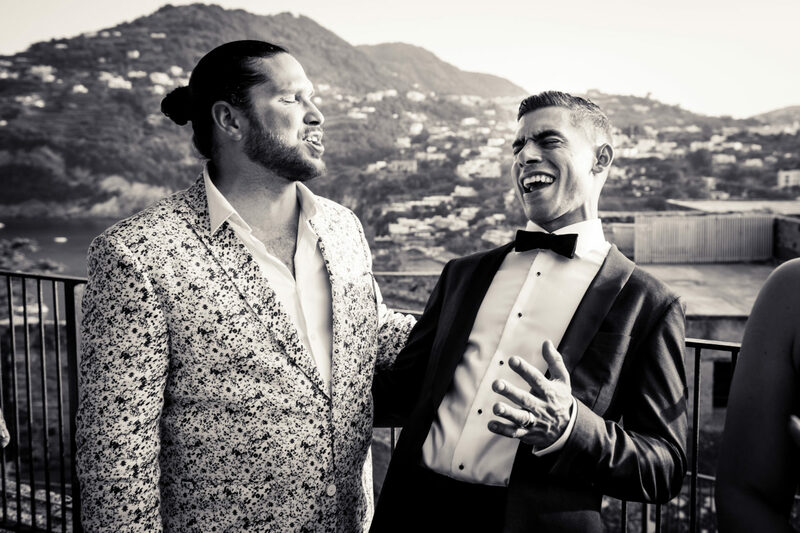 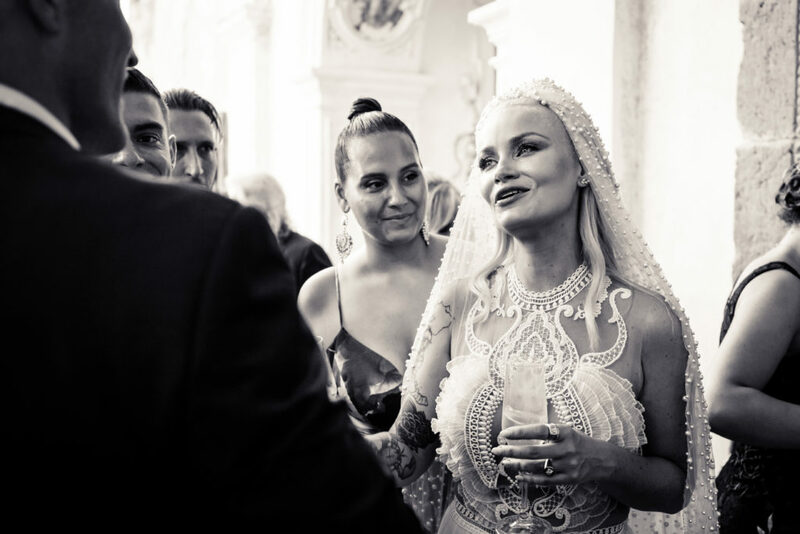 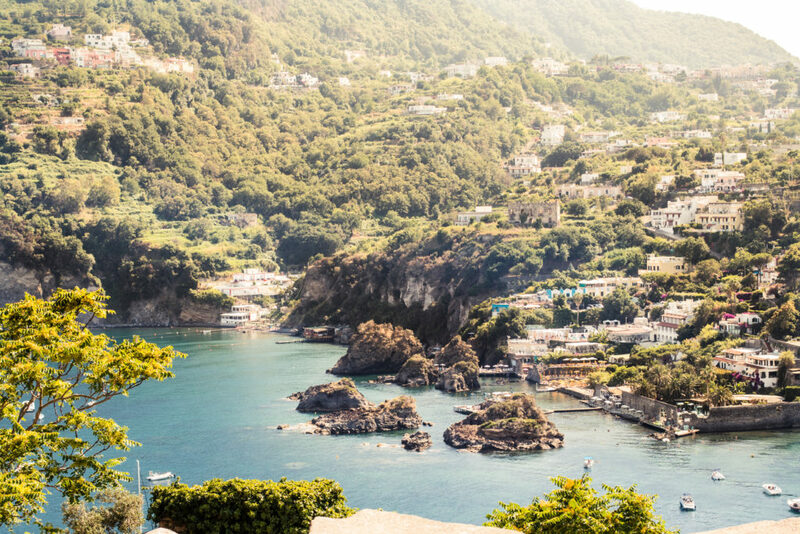 Eric and Jessie opted for a wonderful setting for their wedding: Ischia. 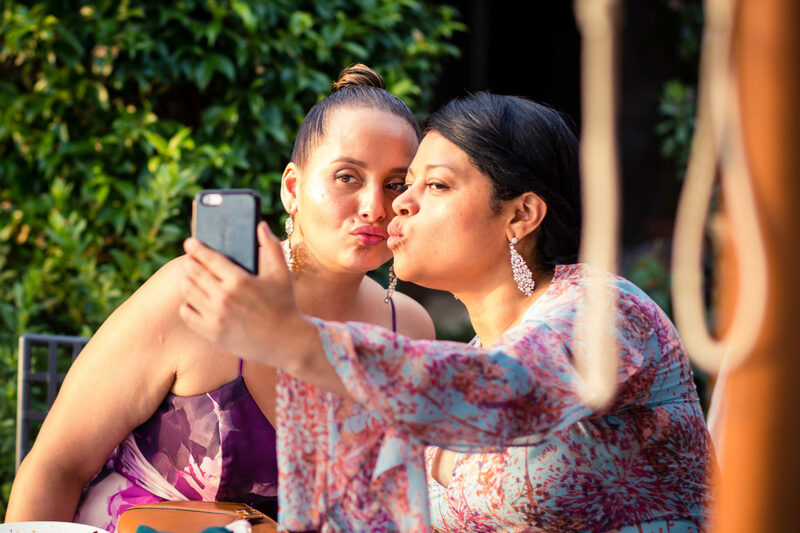 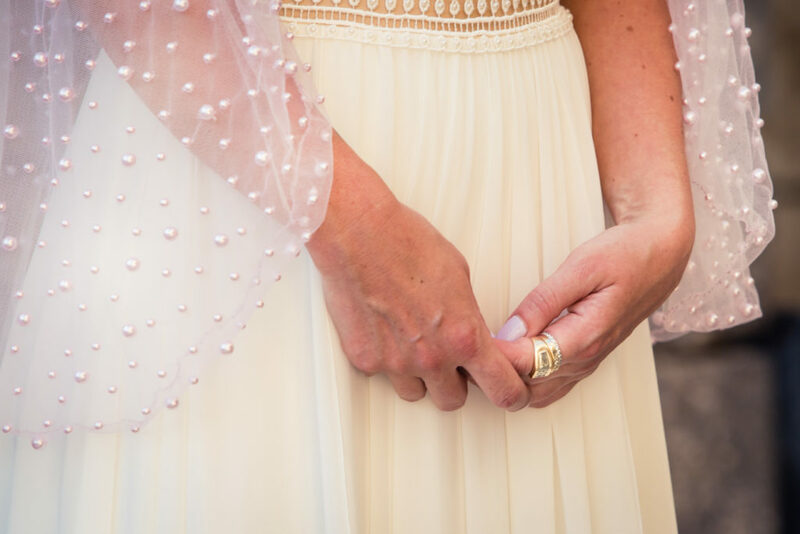 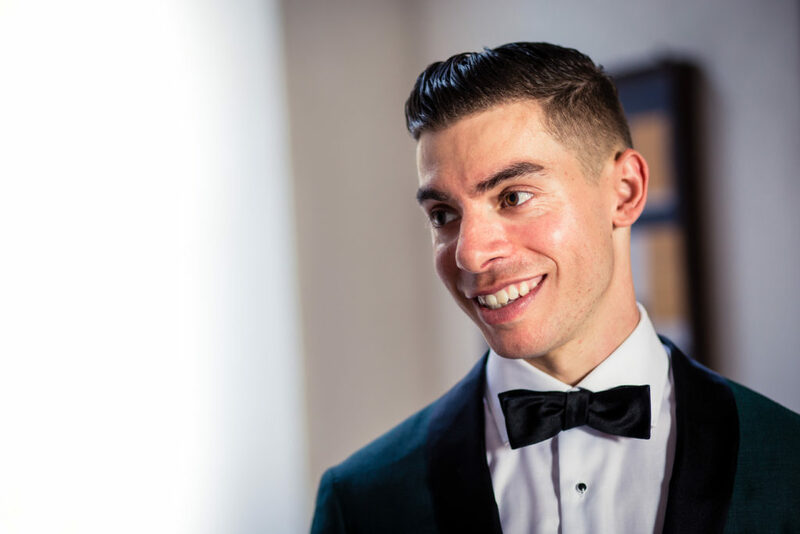 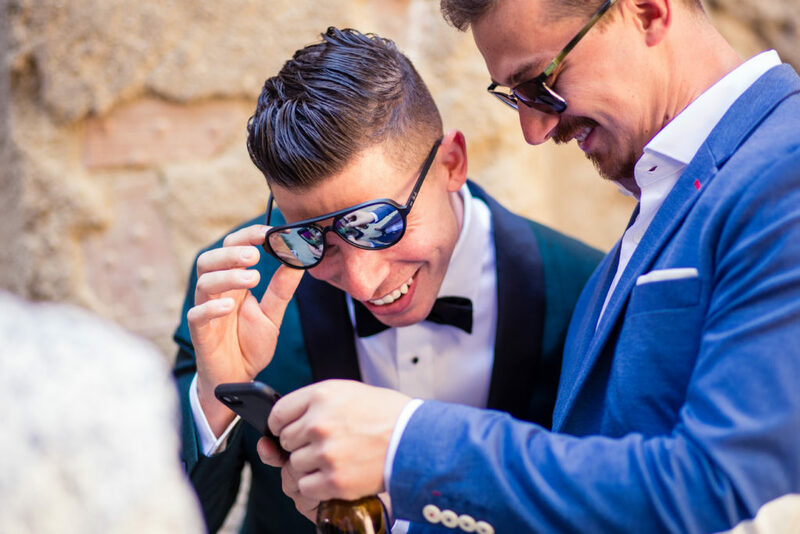 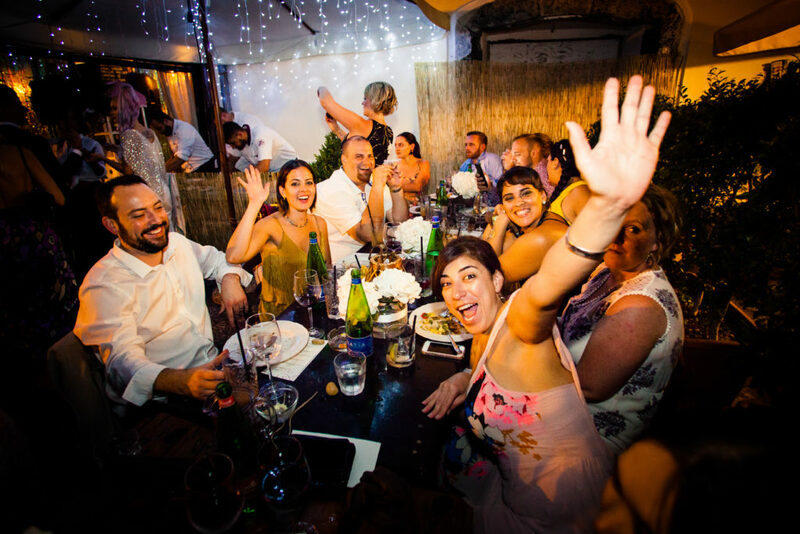 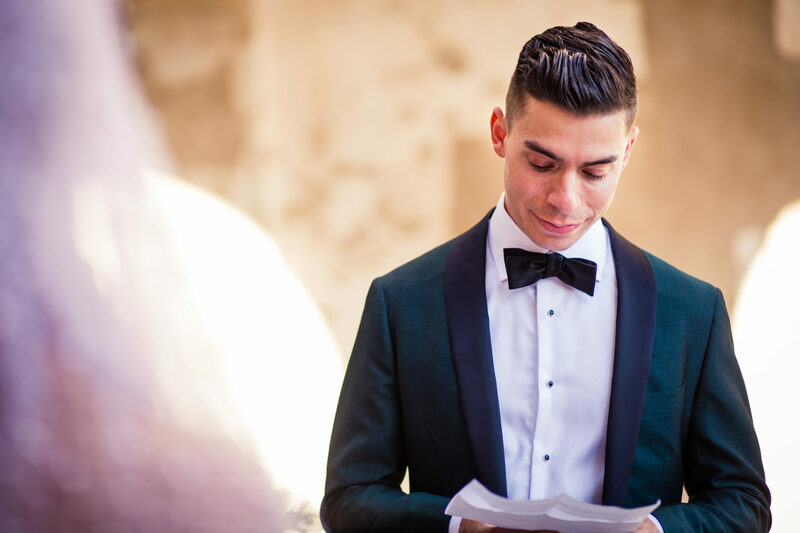 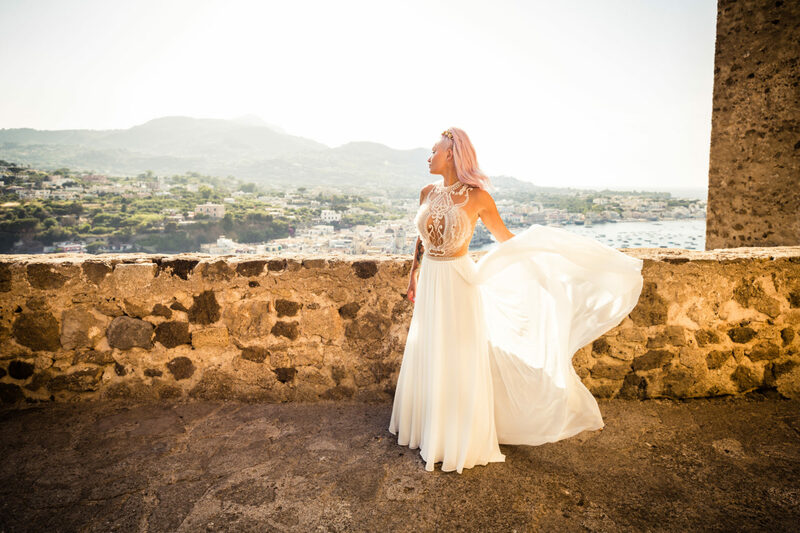 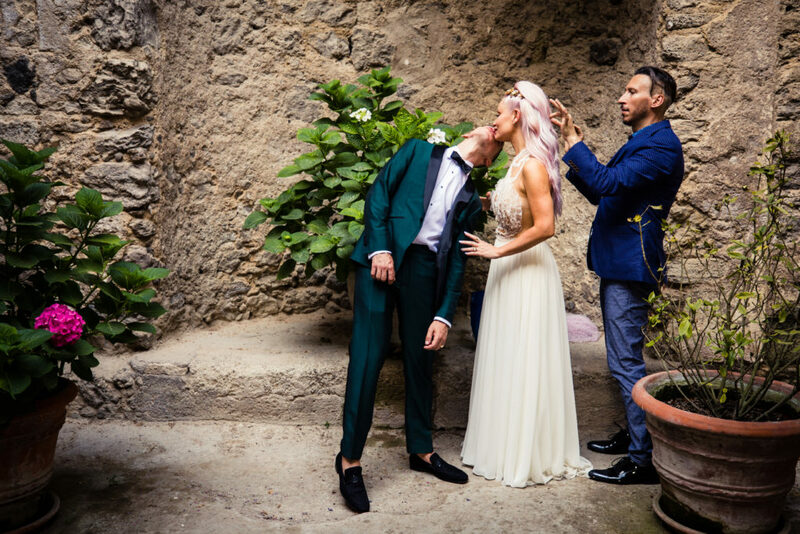 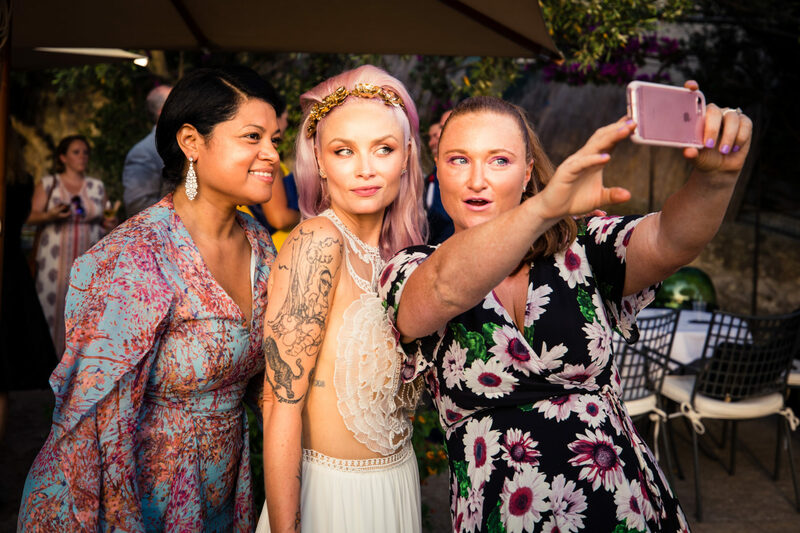 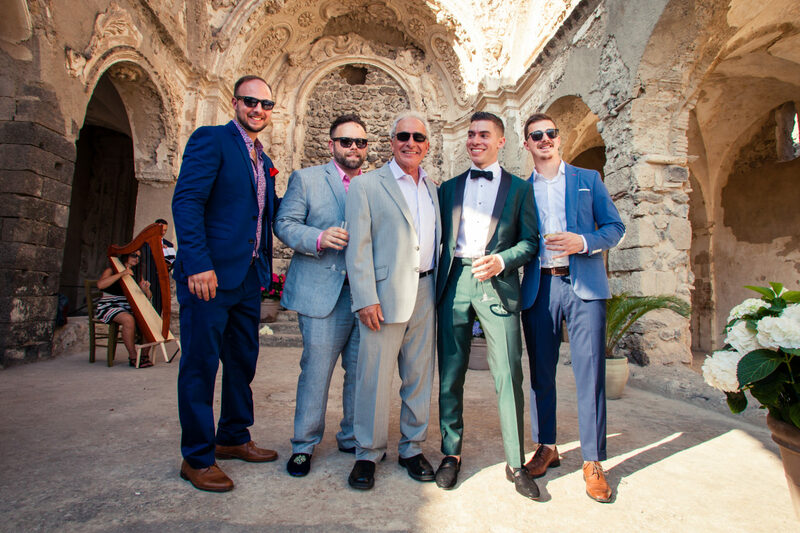 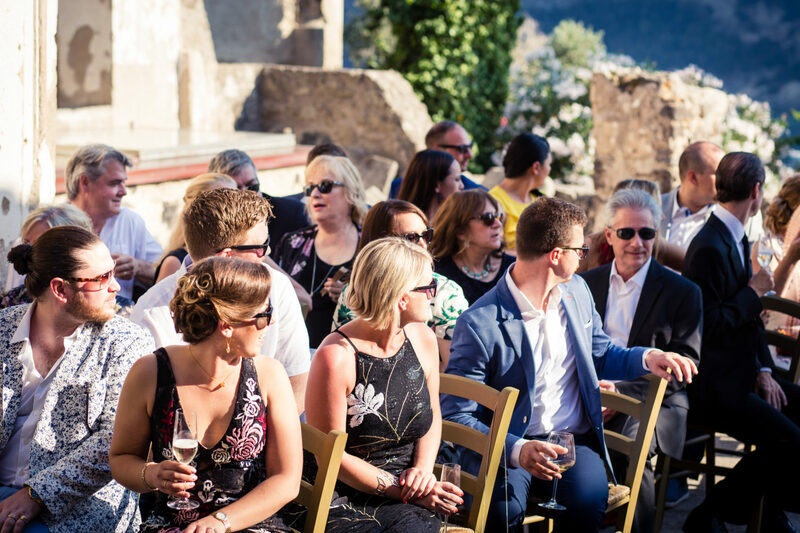 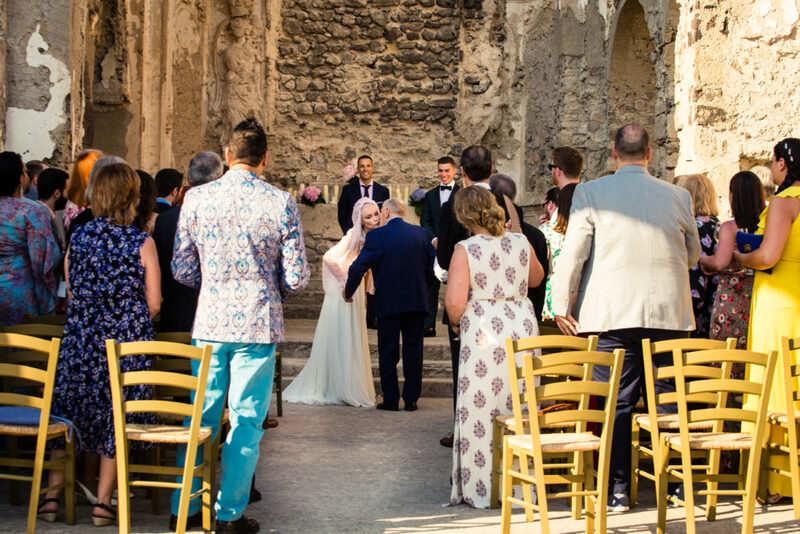 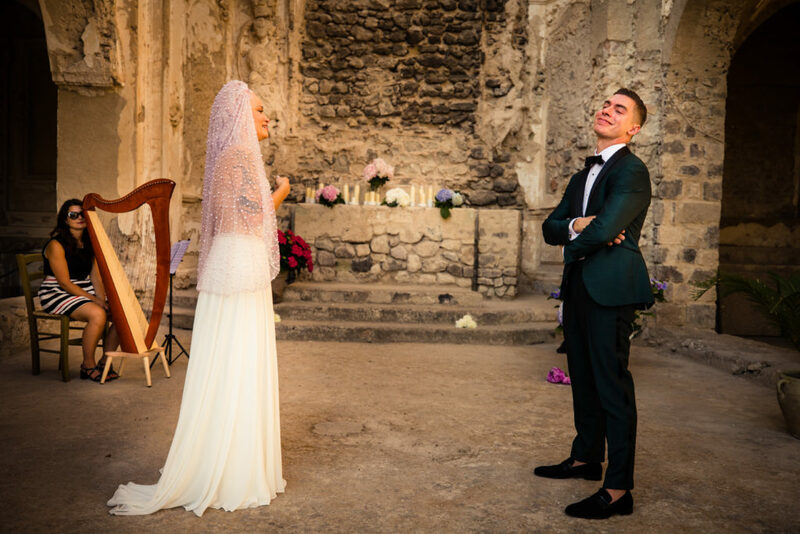 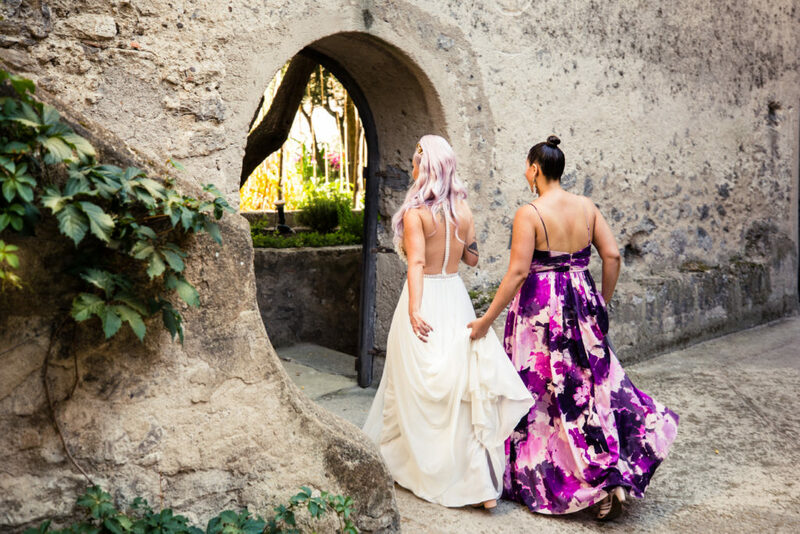 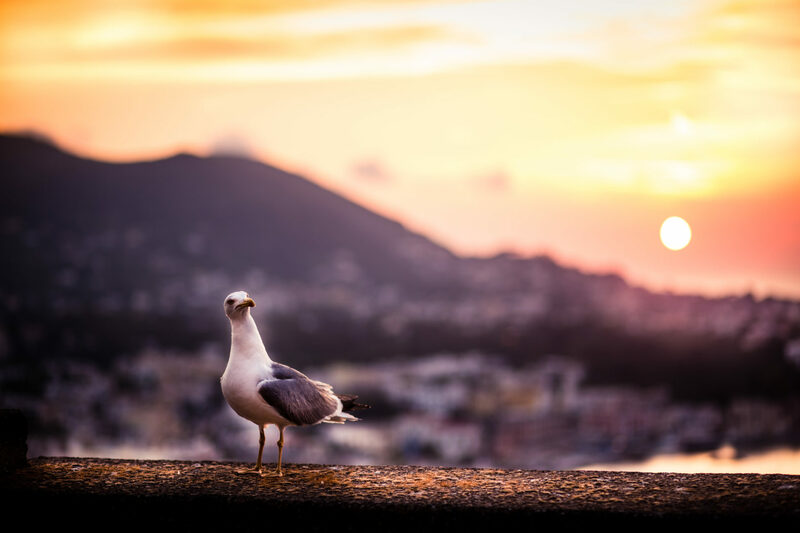 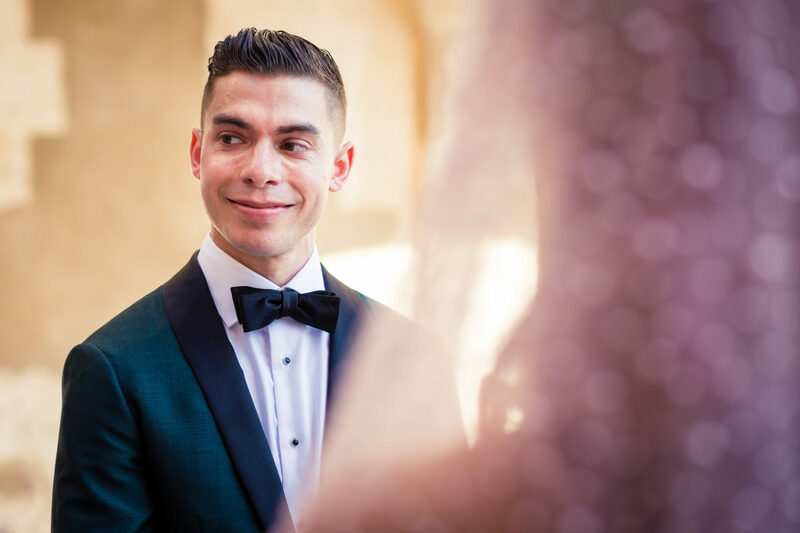 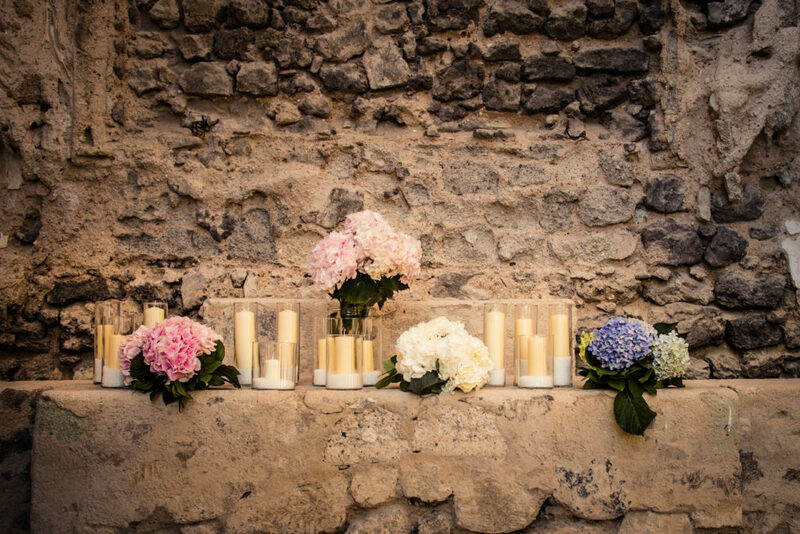 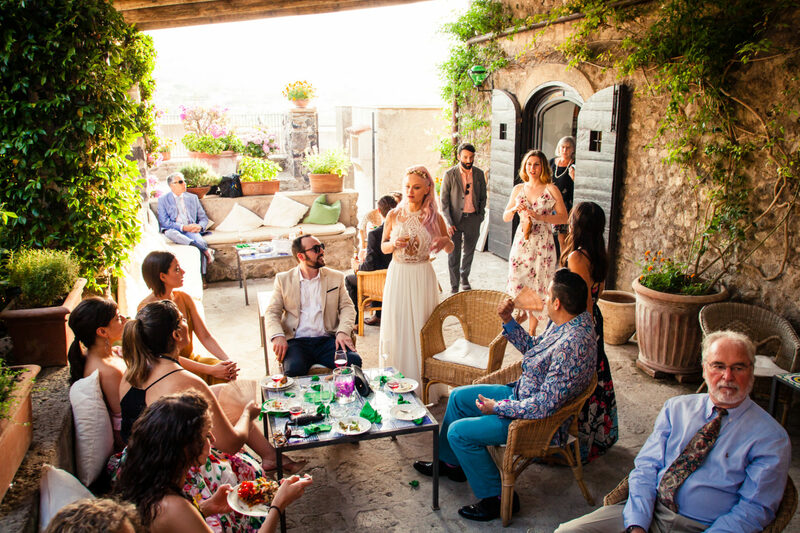 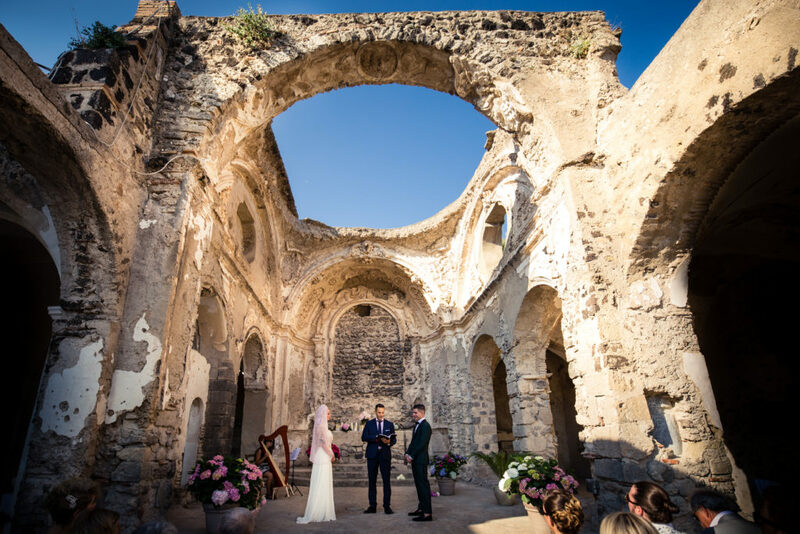 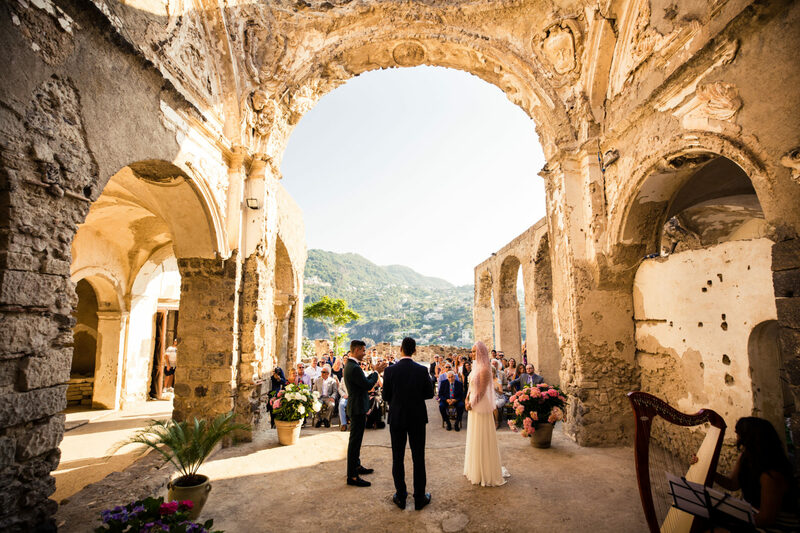 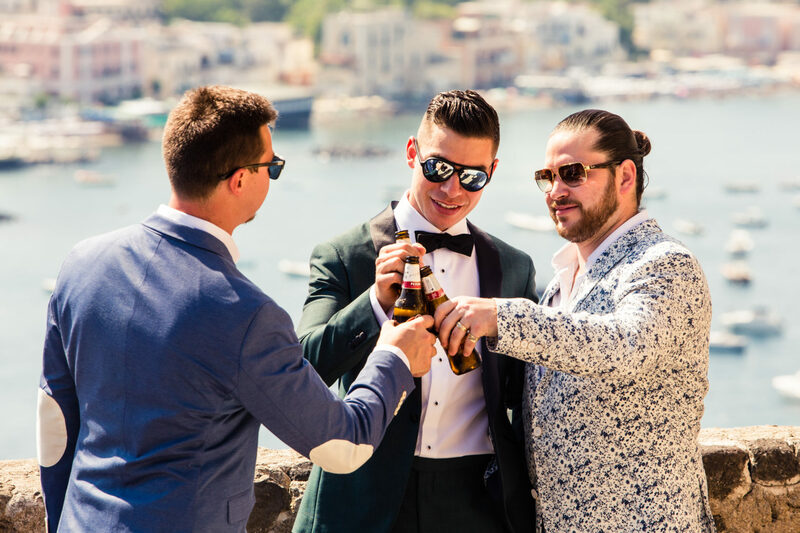 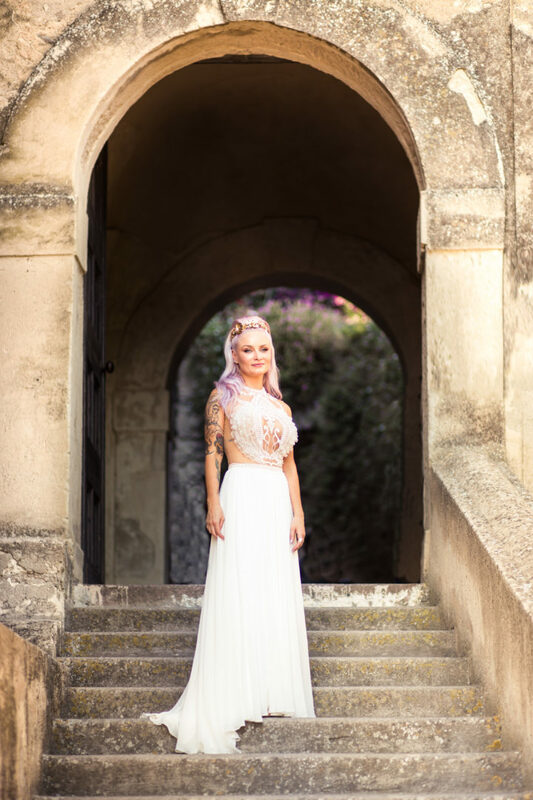 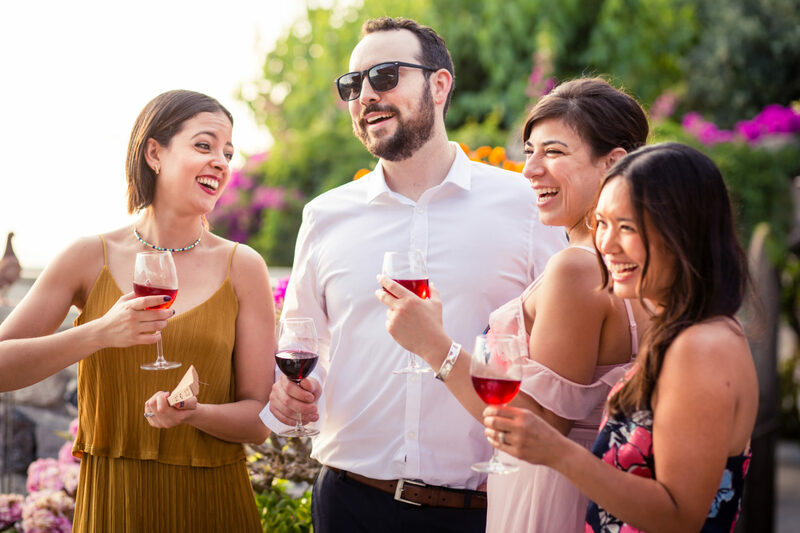 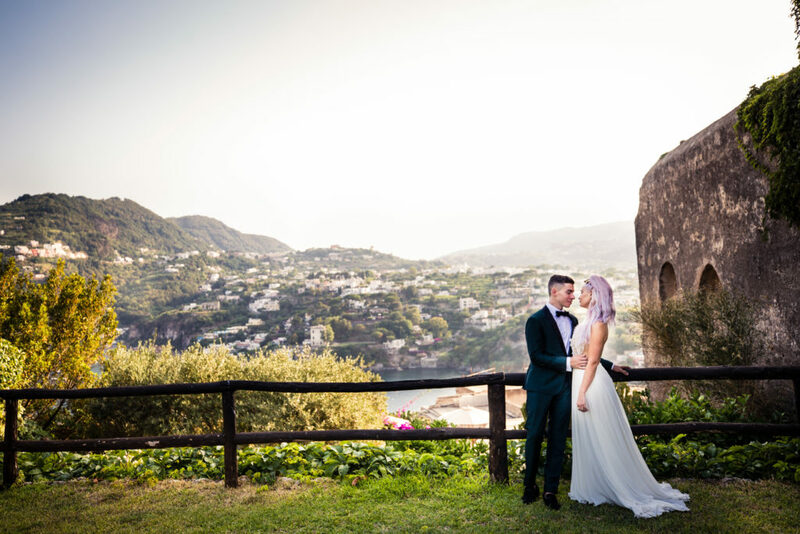 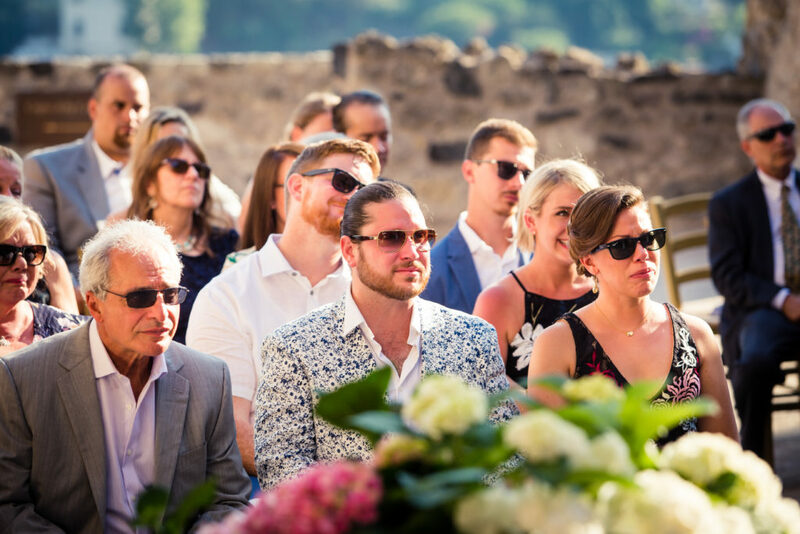 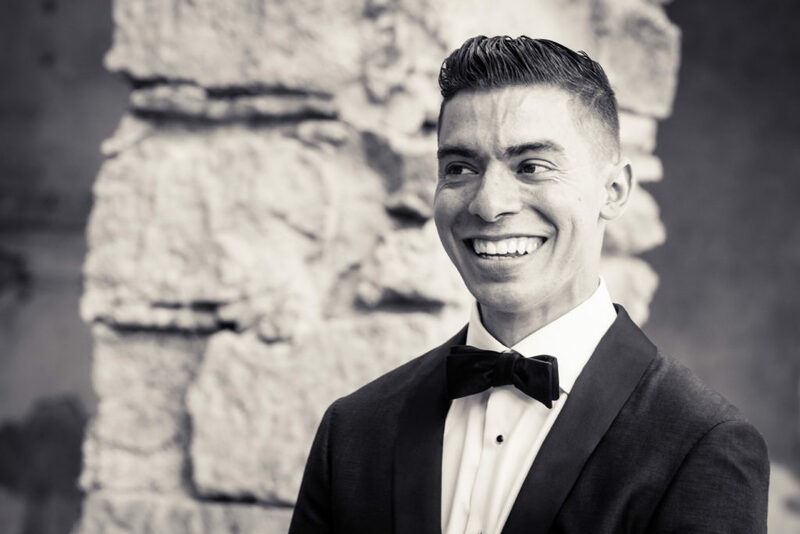 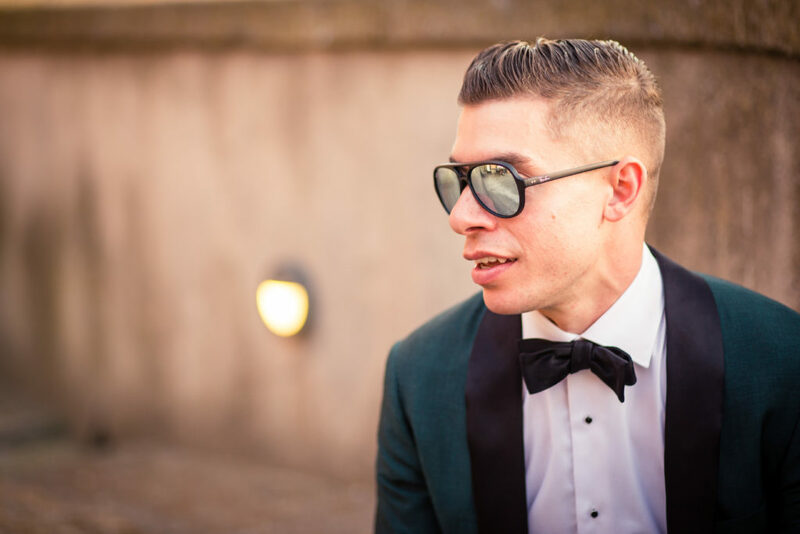 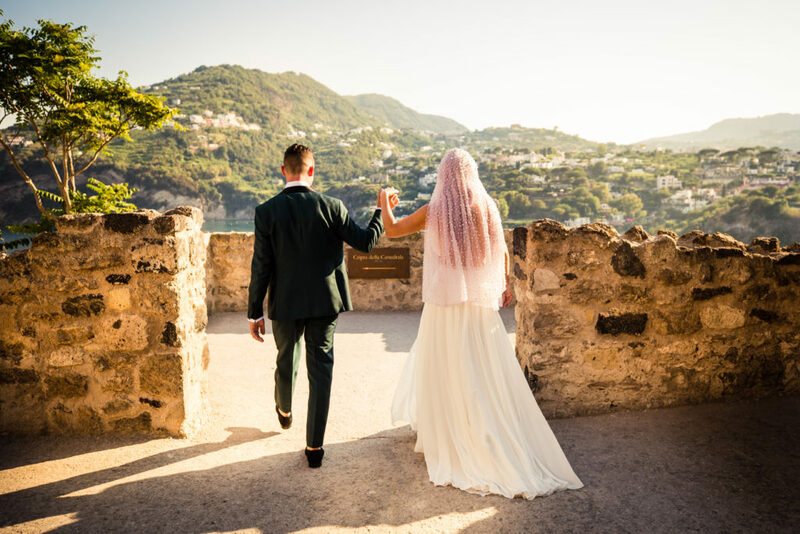 This American couple was so pleased with the Neapolitan scenery, that they chose the Aragonese Castle as the location for their most beautiful day. 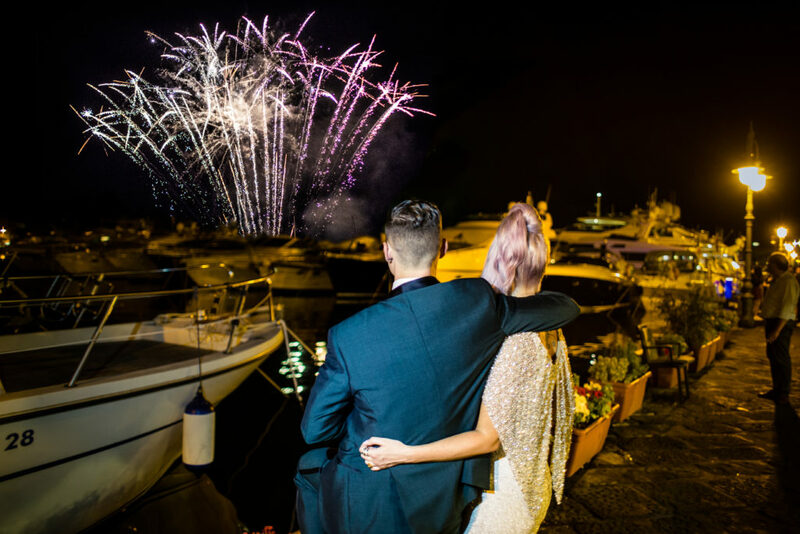 In this magical place, they surrended to the joy of that lovely moment, which they shared with their parents and friends. After the sunset, the bride changed her dress and the couple reached the wedding reception, by boat: the banquet was outside the restaurant, near the harbour. 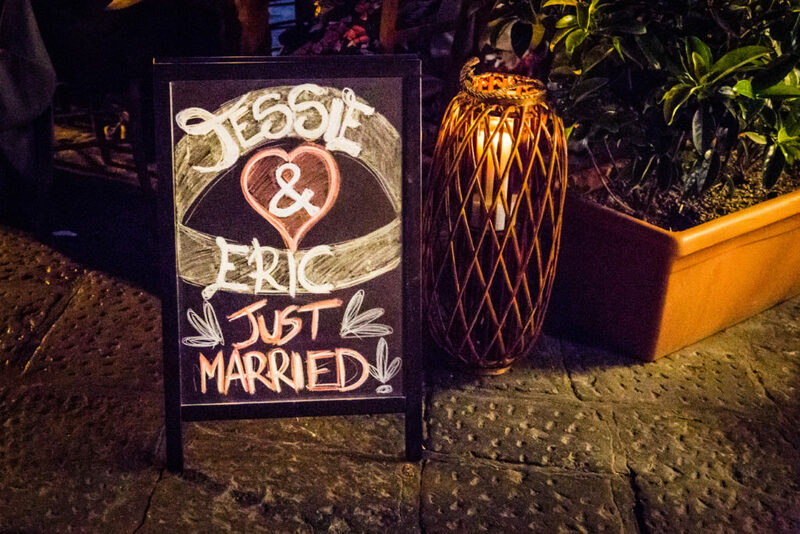 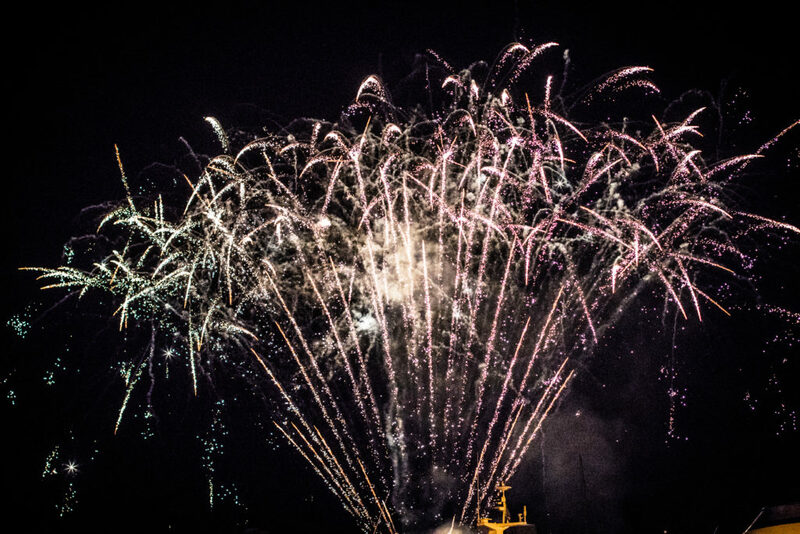 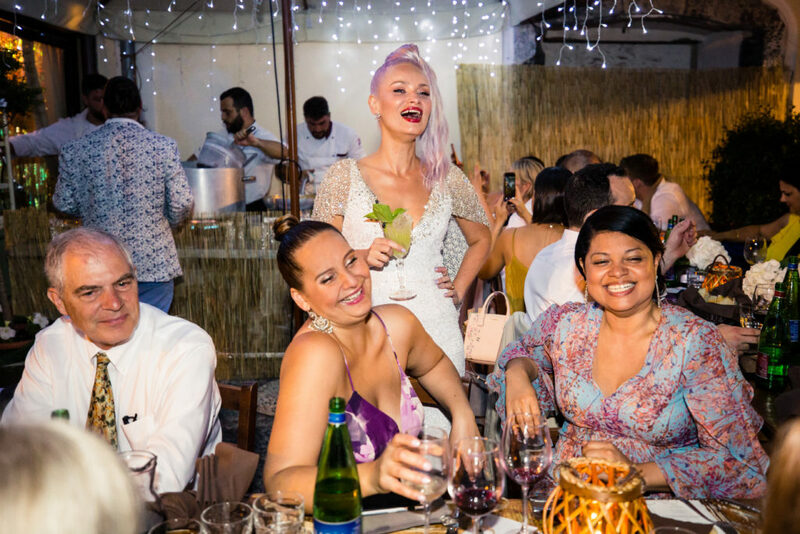 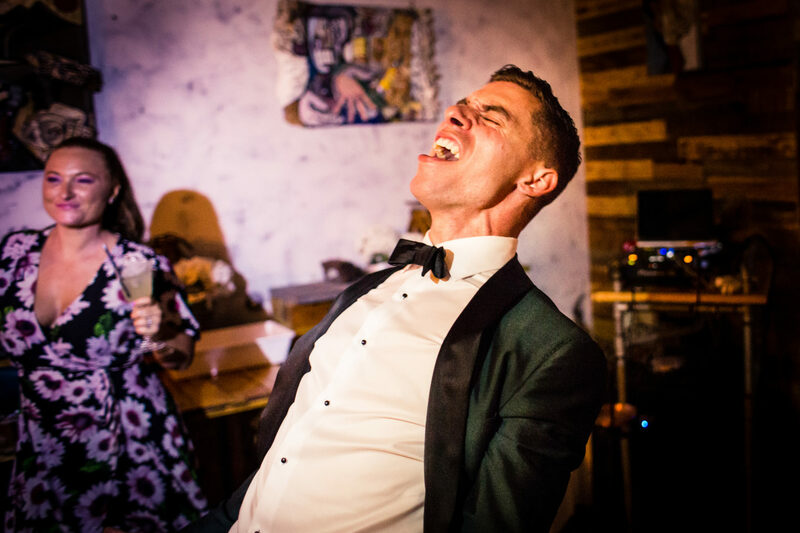 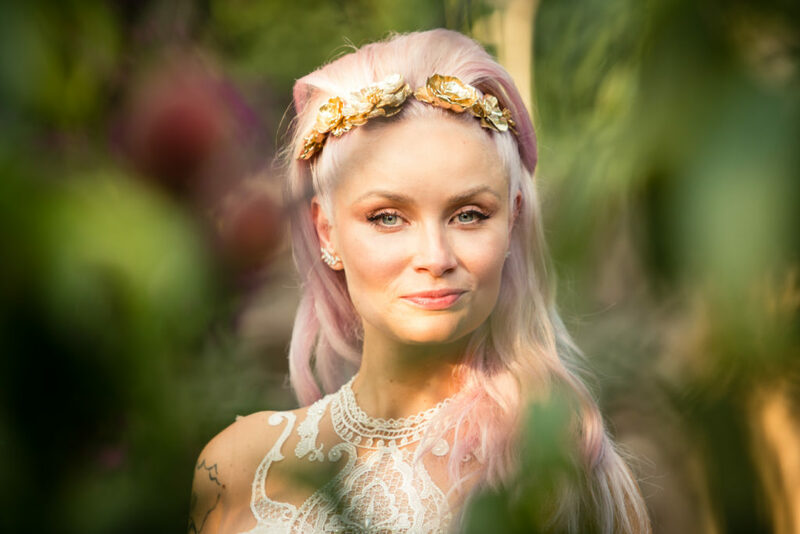 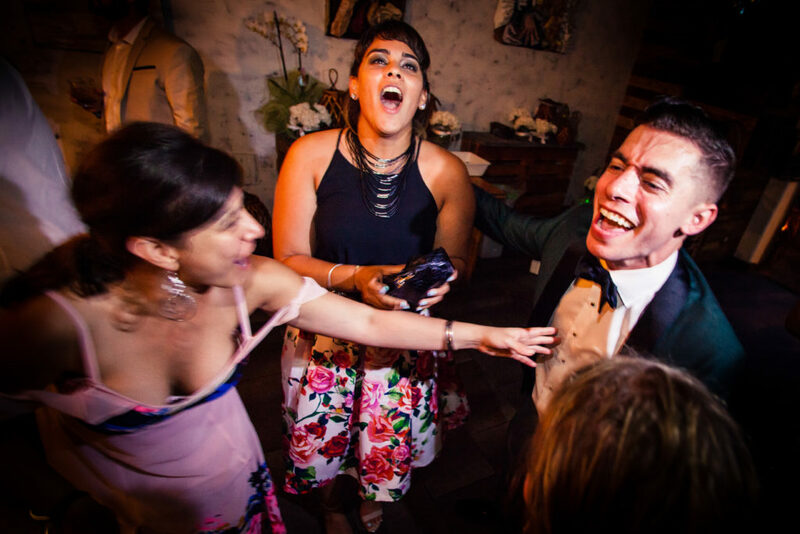 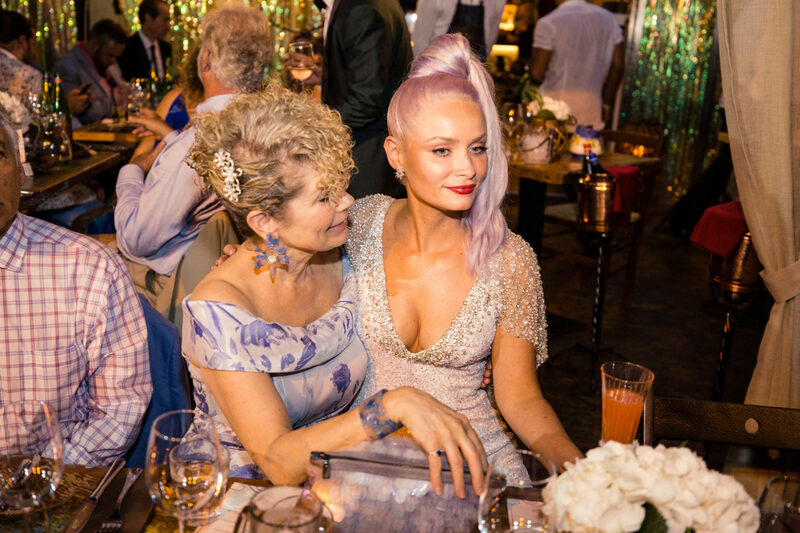 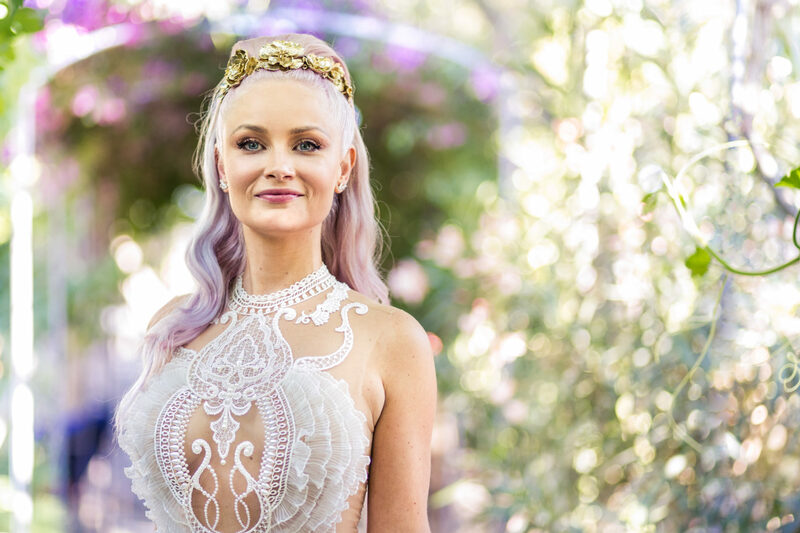 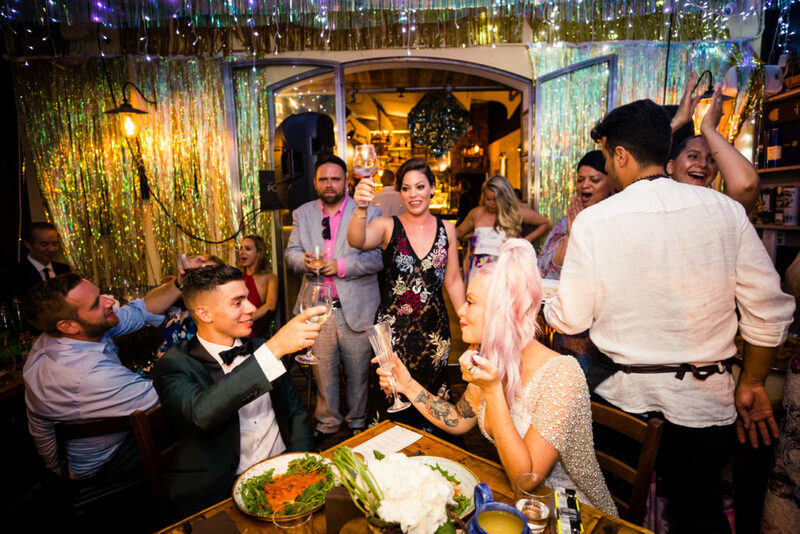 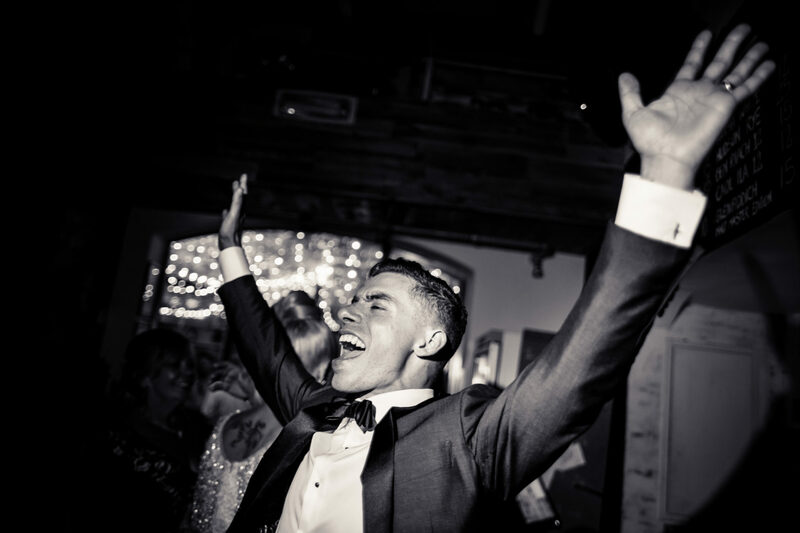 The atmosphere was joyful and sparkling, just like the guests’ dances and the coloured fireworks, which characterised Eric and Jessie’s magical night. 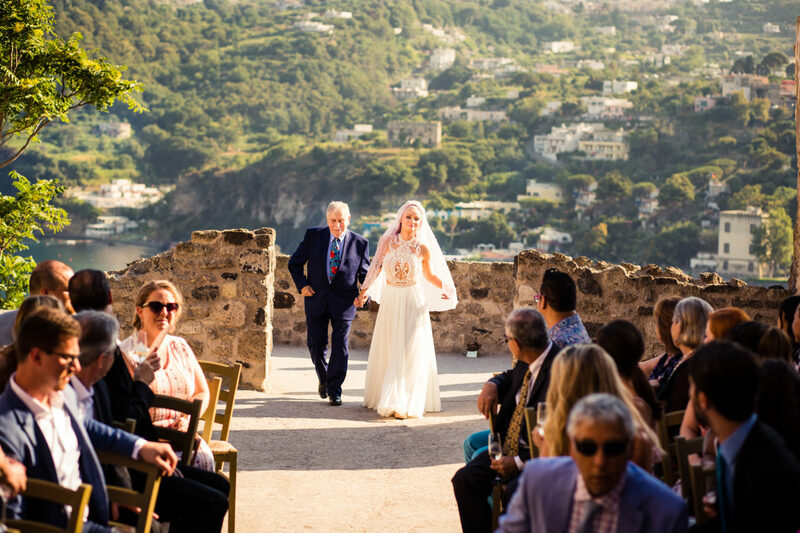 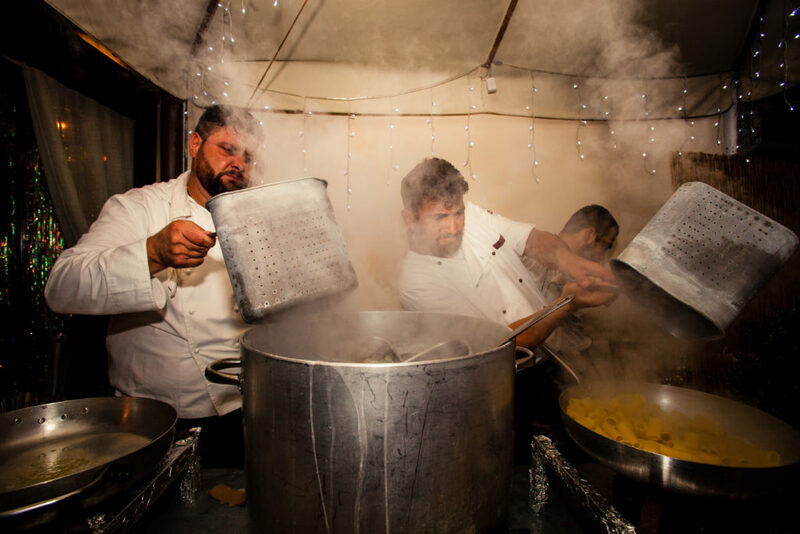 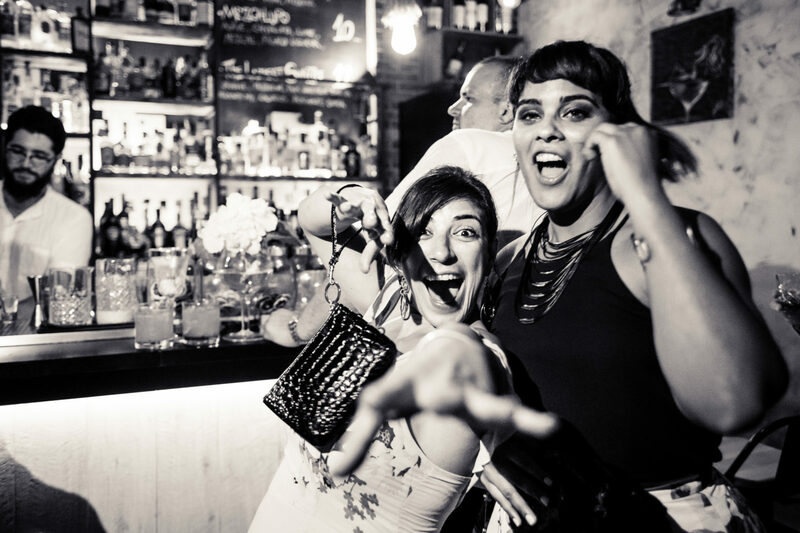 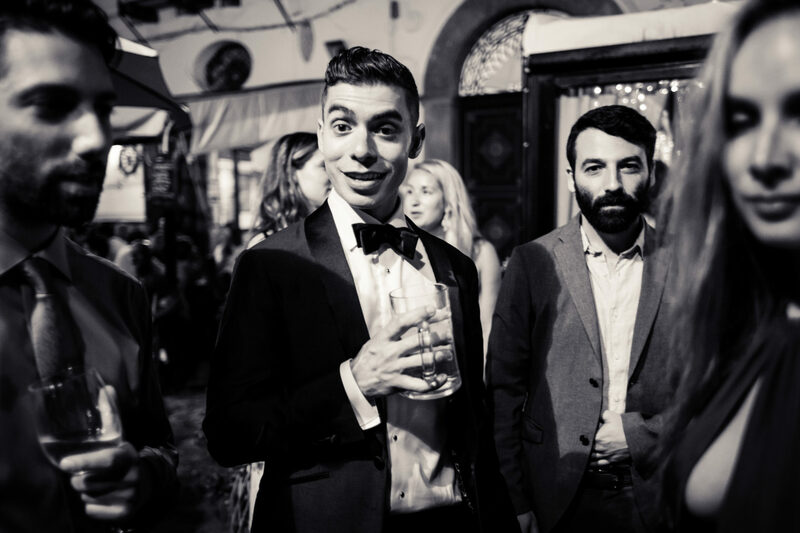 The couple will never forget their splendid italian wedding.